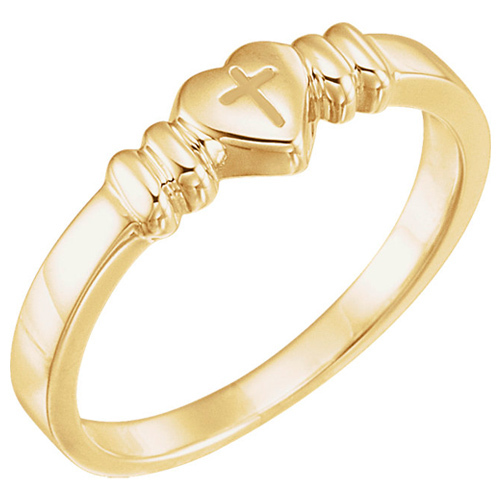 Polished 14kt yellow gold purity ring features heart with engraved cross in center. 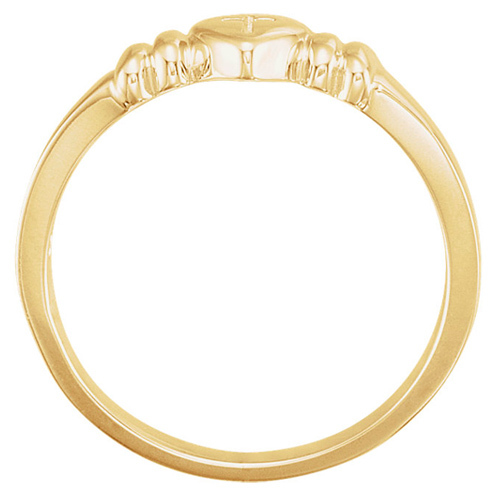 This ring expresses her commitment to remain chaste until marriage. Standard fit. Weighs 3.26 grams. Please note: weight is approximate, actual weight may vary.